As you might now, we started organizing the Nodebp Meetup group back in the fall of 2013. This included NodeBeers, Nodebreakfast, traditional meetups and a Nodeschool event, of course. Then Mikeal Rogers a.k.a. @mikeal started One-Shot London, which was a one-day, single track speaker series presented by NodeConf. Exactly what we need in Hungary as well, as the next step of the evolution of the local Node.js community! A few beers later we (@oroce, @slashdotpeter, @madbence and myself) decided to do the same, and One-Shot Budapest was born. Topics will include microservices, Internet of Things, running Node.js in production and some crazy science like BitTorrent and p2p with Node. 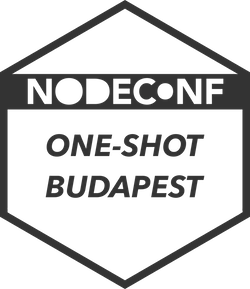 So save the date, and see you on 21th November in Budapest: NodeConf Budapest!